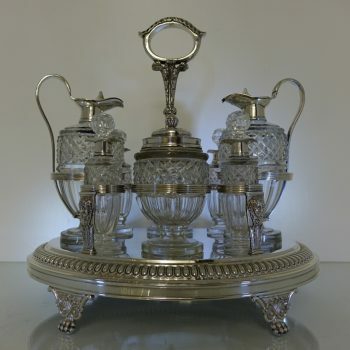 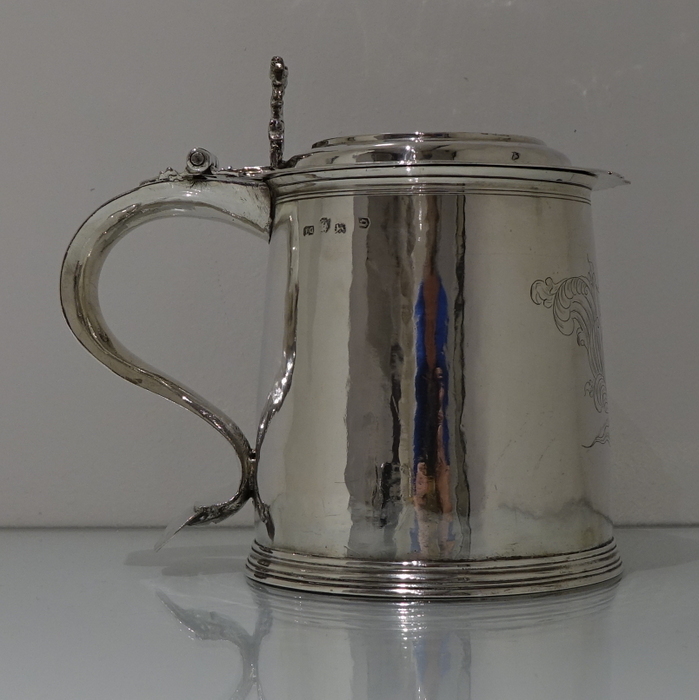 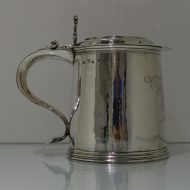 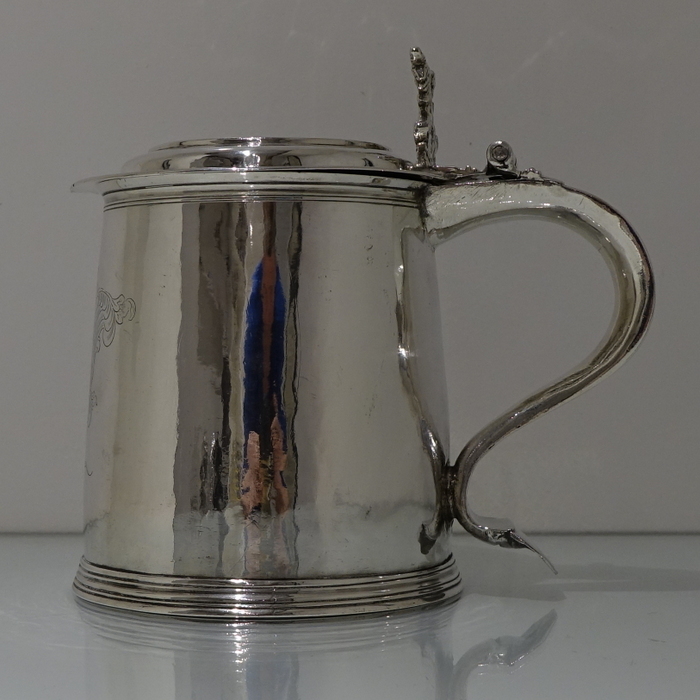 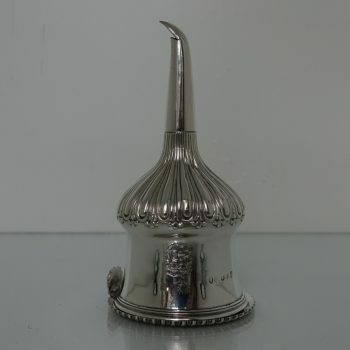 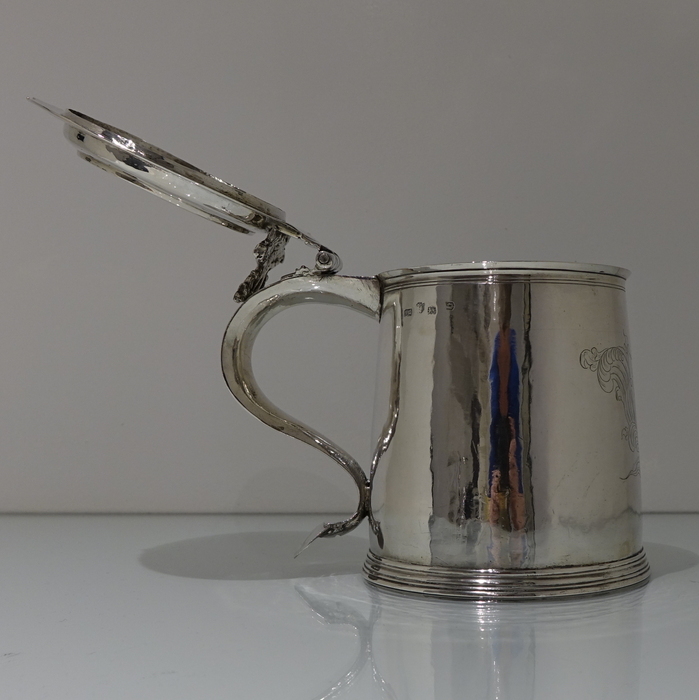 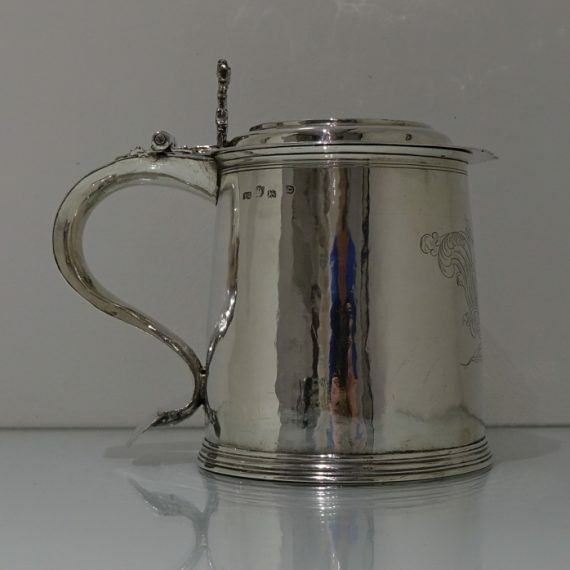 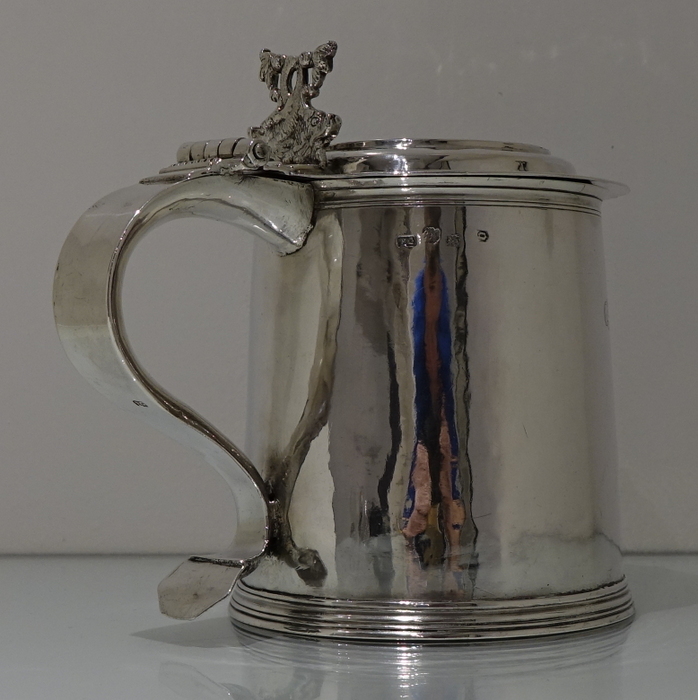 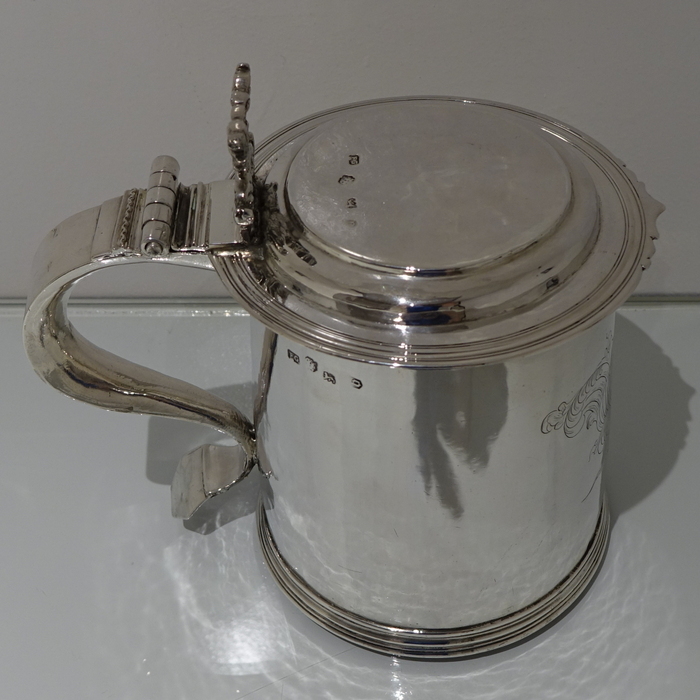 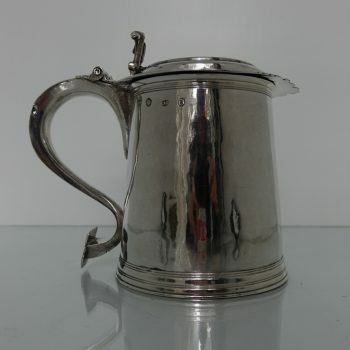 A stunningly beautiful large flat top tankard and cover with hinged lid. 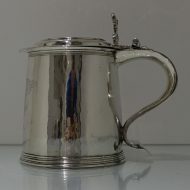 A stunningly beautiful large flat top tankard and cover with hinged lid. 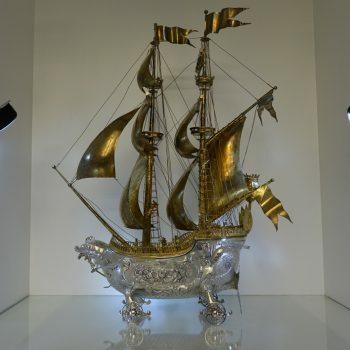 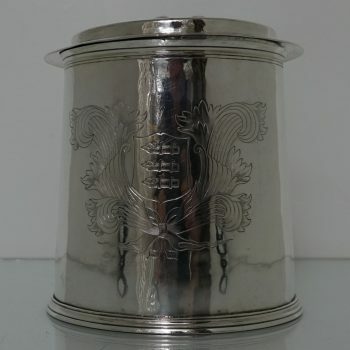 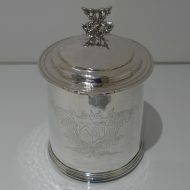 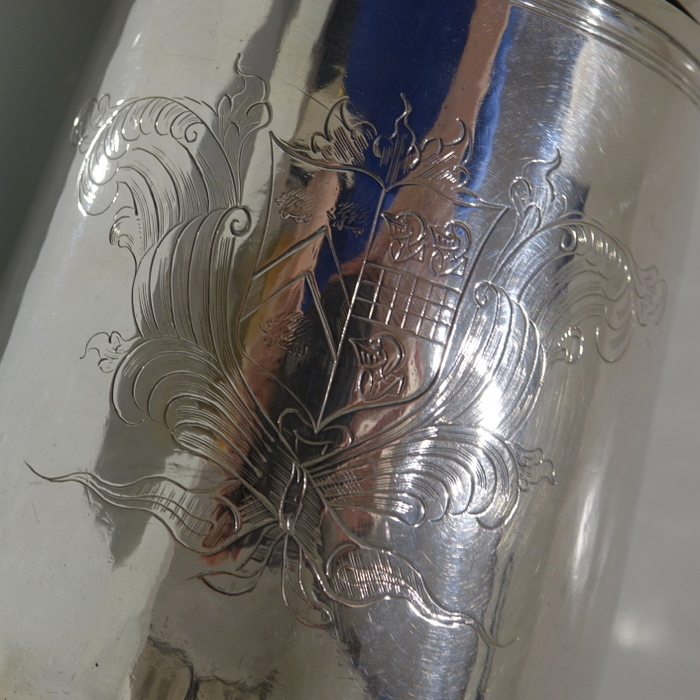 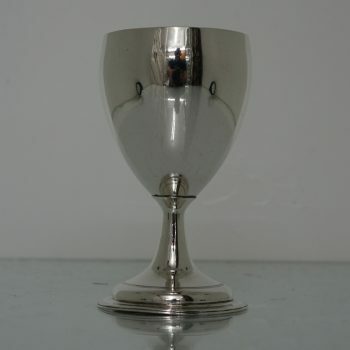 The tankard is plain formed in design with a cylindrical body which has a stylish hand engraved contemporary armorial to the centre front for importance. 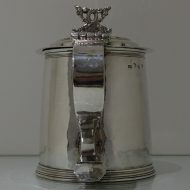 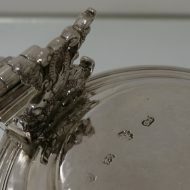 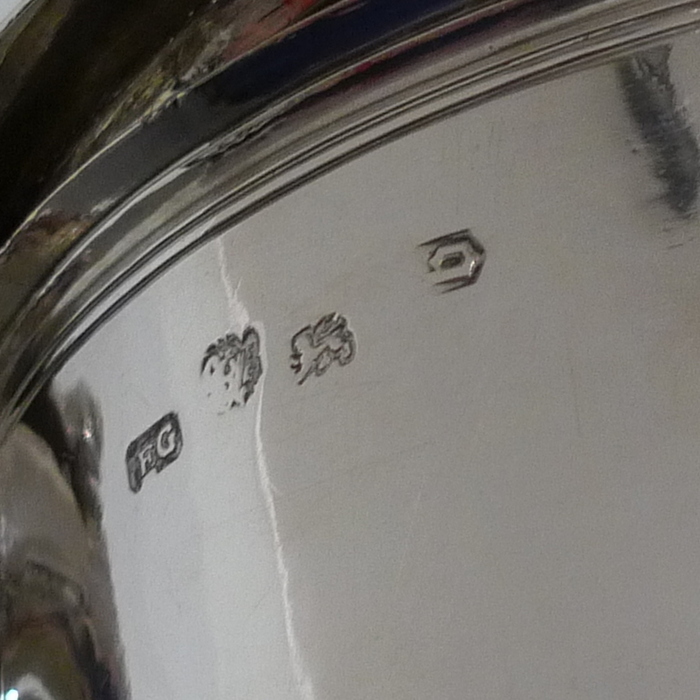 The lid has a decorative cast thumb piece for highlights.